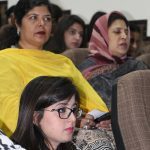 Breast Cancer is the most common cancer in women around the world, unfortunately, Pakistan has the highest incidence of breast cancer in Asia. 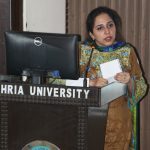 Due to lack of awareness breast cancer in Pakistan, this treatable disease is usually detected at an advanced stage when nothing can turn the course of the disease. 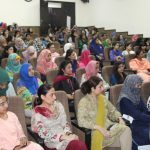 In the same context, Bahria University Karachi Campus, Student Support Centre organized Breast Cancer Awareness Session in collaboration with Shaukat Khanum on Friday, 12th October 2018 from 1100 to 1200 hours at Fatima Jinnah Hall – BUKC. 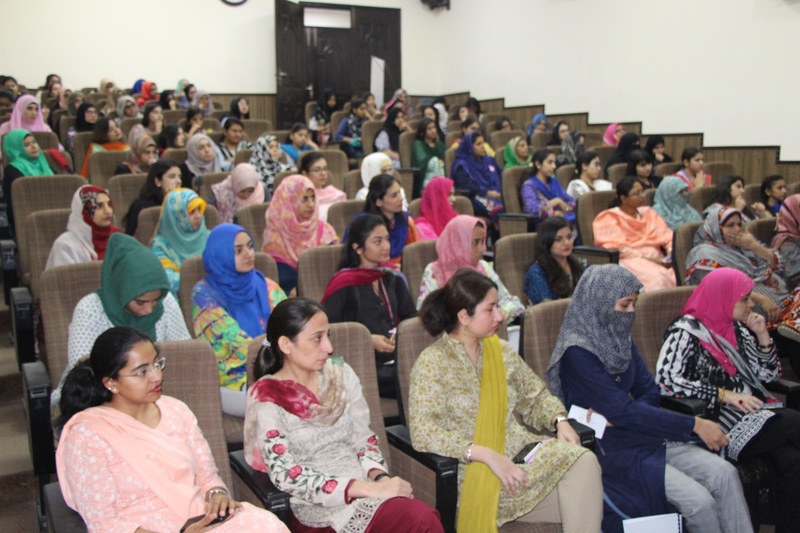 The session was attended by female faculty and students. 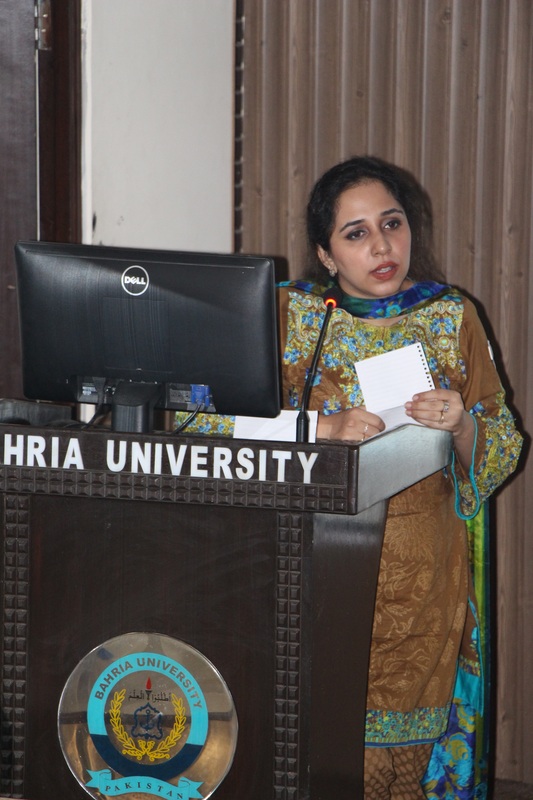 The briefing was elaborated and explained in detail with self-examine and the stages of cancer and prevention by Dr. Rabab Zehra followed by Q&A session. 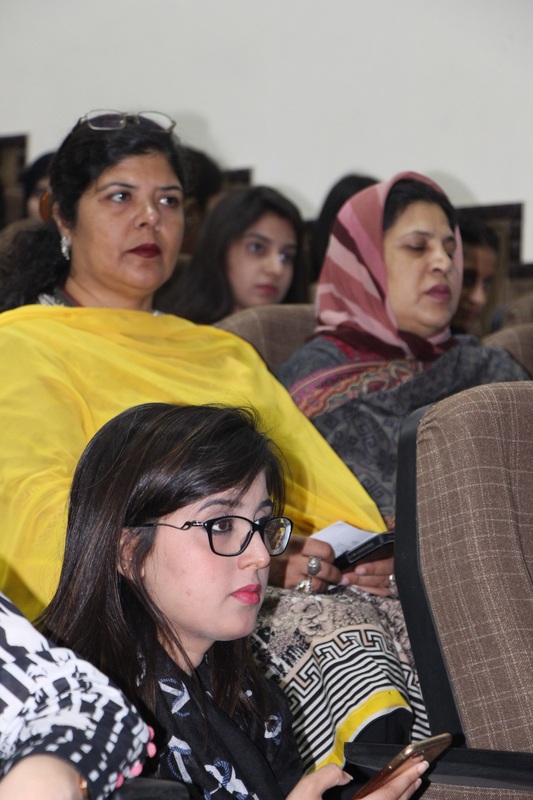 Shaukat Khanum team also disseminated the information regarding free diagnostic center where services can be avail for free at their hospital on weekdays from 0830 to 1600 hours.